There will be an exclusive performance of Puppet State Theatre’s stage production of Leaf by Niggle during Oxonmoot, The Tolkien Society’s annual gathering in Oxford, on the evening of Saturday 10th September. The show has been touring Scotland since it premiered at the Edinburgh Festival Theatre Studio on Thursday 14th April, and has received high praise from the critics. 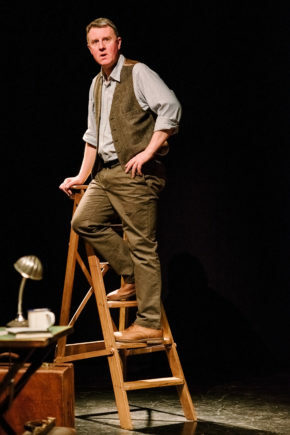 This storytelling show, created and performed by Richard Medrington, draws on Richard’s personal family history as an introduction to Tolkien’s original story. 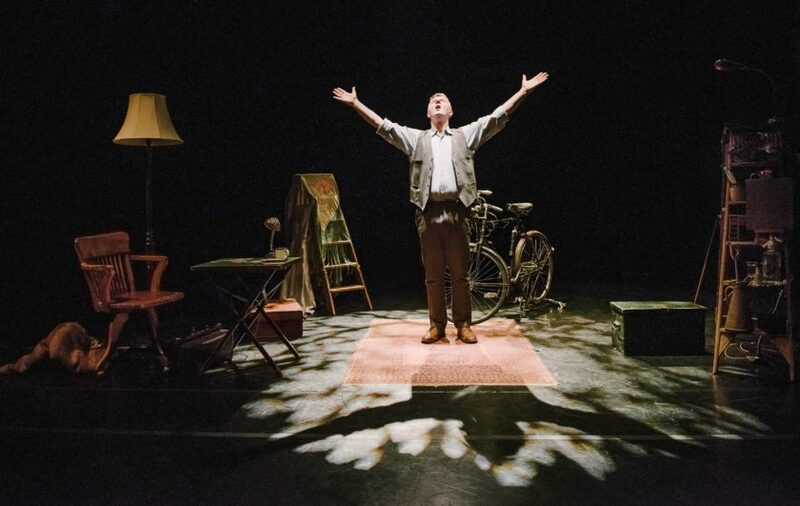 Surrounded by ladders, bicycles and heirlooms, Richard recounts Tolkien’s miniature masterpiece with a soundtrack composed by Karine Polwart and Michael John McCarthy. Oxonmoot 2016 will be held at St Antony’s College Oxford from Thursday 8th through to Sunday 11th September. The performance will start at 20.00 on the Saturday and is exclusive to Oxonmoot delegates. Day tickets are also available for £30.